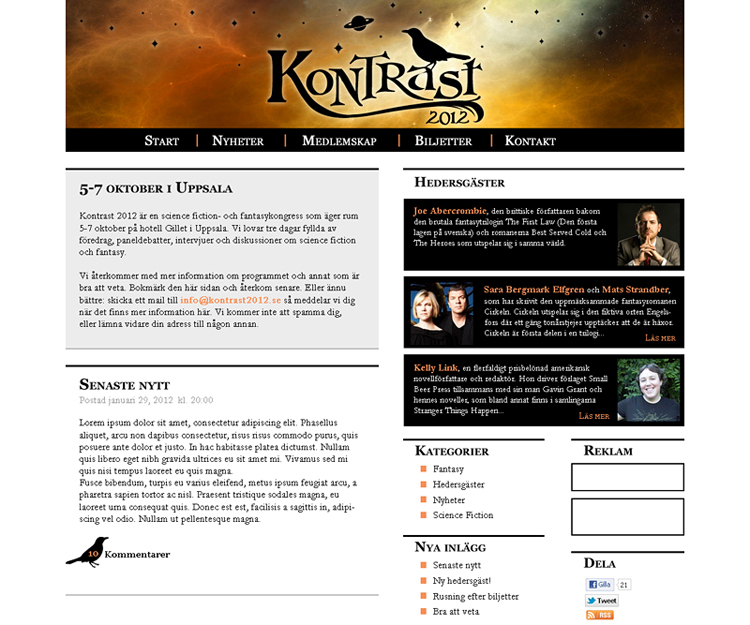 You are not going to miss Kontrast 2012, the science fiction and fantasy congress that will take place October 5-7 in hotel Gillet in Uppsala, are you? I got the great pleasure of designing a graphic profile for Kontrast. All in all it became two logotypes. One a little bit more formal and another one space inspired that hopefully will end up on t-shirts and other things. The website is a thorough revamp of the WP theme Coraline. 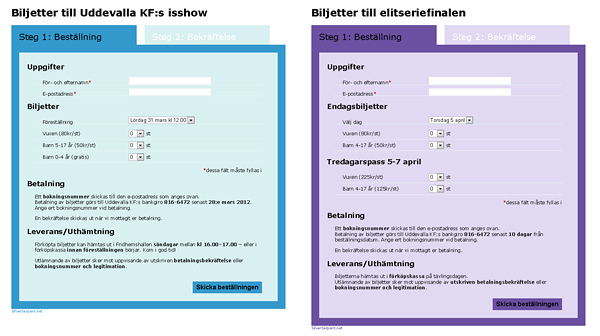 I’ll show more design for Kontrast 2012 in the future. If I’m going there myself? Hmm, probably. I haven’t decided yet, but my fingers are itching. IF I’m going Kontrast has to expect that I will drag along a fat suitcase with costumes. Congress/convent = a fully legal opportunity to play dress up in my world! 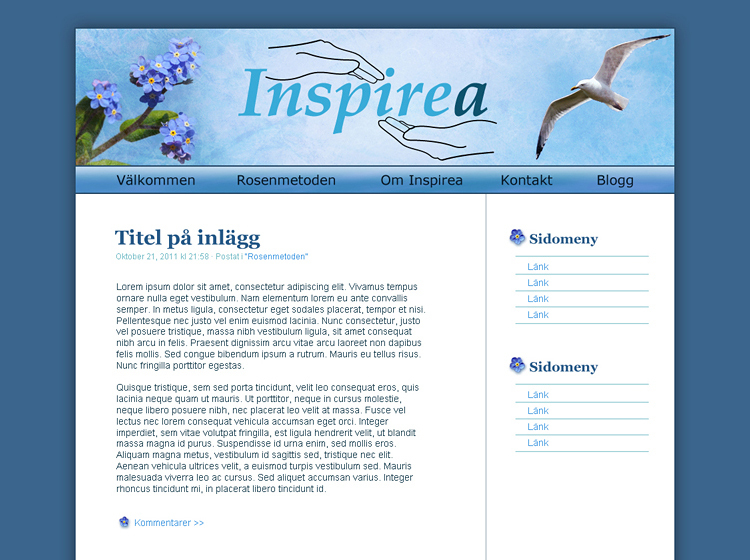 This is a WordPress site I’ve designed for Inger Nilsson-Välimaa and her site Inspirea.info. The thought was to convey a sense of peace and freedom. Inger had very specific requests about the forget-me-nots and seagull. The result is what you see here. Ongoing right now: Order tickets for Uddevalla konståkningsförening’s ice show through SilverSerpent.net! The order system, designed and coded by me, has been out for a while and the show is soon due so it is about time I told you about it here. Get your tickets before the run out! Last year’s show was spectacular! You can also order tickets to the premier league finals in figure skating here.